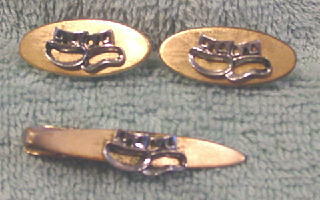 These vintage elongated oval gold-tone cuff links have elevated silver-tone stylized theater (comedy and tragedy) masks. 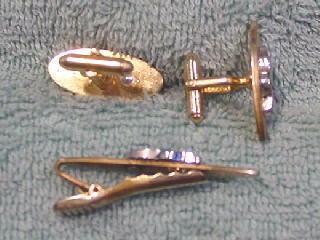 There is a matching tie clip. 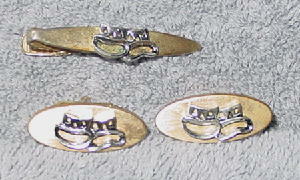 The backs of the cuff links are somewhat tarnished and there is tarnishing on the surface of all three pieces near the masks. This vintage set is by Anson. They're from a former New York actor.